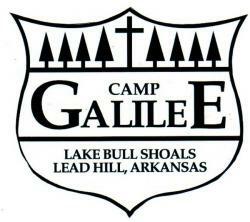 CAMP GALILEE RETREAT CENTER is a beautiful 120-acre camp. It is nestled among the woods on a hill, overlooking Bull Shoals Lake in Northern Arkansas. It is a non-denominational facility built and established by Christian men and women desiring to help children, youth, and adults begin, renew, or revitalize their walk with the Lord Jesus Christ.